'Wadebridge: a market town on the banks of the Camel River' or 'a market town whose bridge is built on wool'; these are the usual introductions to this medium sized town of 8272 people, placed halfway between Bodmin - famed for its jail and being the ancient capital of Cornwall, and Padstow, famous for its ancient harbour and probably the best known fish restaurant. Sadly neither description is totally accurate these days. 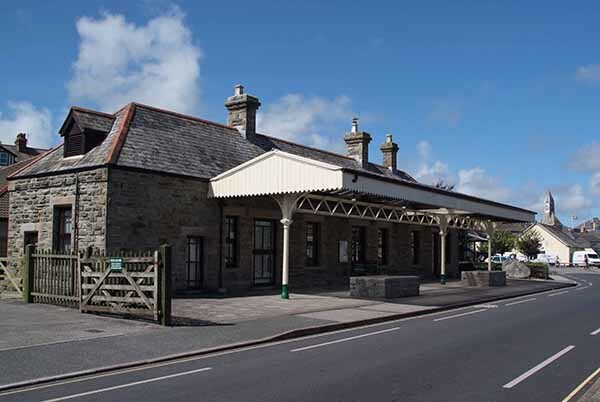 Wadebridge is no longer a market town, the cattle market which had been in the town for hundreds of years closed down during the last outbreak of foot and mouth in 2001. The bridge built on wool is disputed by many. One story is that the foundations of the bridge were built on sacks of sheep's wool whilst the other version describes the bridge being built on the profit from the wool. Whichever version you believe the old bridge is there and the centrepiece of the town. Photographed by most visitors to the town from every angle and vantage point imaginable. The construction and history of the bridge, which has been of immense importance to the development and expansion of the town, has changed over the centuries to accommodate increasing traffic and European weight laws and restrictions. Having been built originally to provide drovers and shepherds with easier access to the market, it is true that payment for the bridge was achieved from the profit of the wool from the sheep - a rich commodity in 1460AD. Wadebridge is comprised of several hamlets covering perhaps only a square mile; St Breock, Trevanson, Guineaport, Wade, Whiterock and Egloshayle, the latter being cut off from the others by the river until the construction of the bridge by the Reverend Lovibond who also donated the 80' tower to the only parish Church for the town of Wadebridge which is actually in Egloshayle. The Parish of Egloshayle does not actually encompass the village of the same name. Wadebridge Town Council is responsible for the village of Egloshayle, the Parish of Egloshayle has its own Council! The Town Hall, in the centre of town, houses the Town Council offices. When it was opened in 1888 by Sir Paul Molesworth, it was called Molesworth Hall. Later taken over by the Town Trust, it eventually came into the ownership of the then Parish Council. The façade of the building changed when in 1962 refurbishment and improvement to what had become a quite run down building was completed. The barrel ceiling and balcony in the main hall disappeared as did the wonderful arched window and door at the front. The river, which is now quite silted was an important part of the town's prosperity when many cargo ships moored alongside the wharfs and harbour. It is said that Guineaport is so named as ships' captains were required to pay a 'Guinea' to moor there. Its former status of being a market town indicates to the observer and visitors to Wadebridge that the surrounding area is one of a farming and agricultural nature. The Town's abattoir closed even before the Foot and Mouth Crisis, at the time of the BSE crisis, severely affecting rural business in the whole area. Livestock is now moved to other towns whose abattoirs have survived. 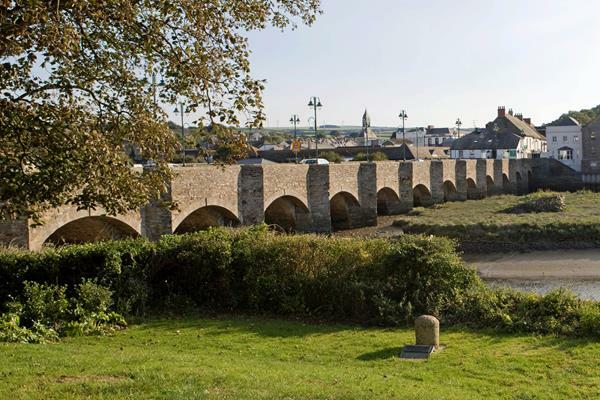 Cornwall's climate however, is enhanced in Wadebridge which enjoys something of a mini microclimate and helps attract thousands of visitors to the town who have changed to a great extent, the economic perspective. 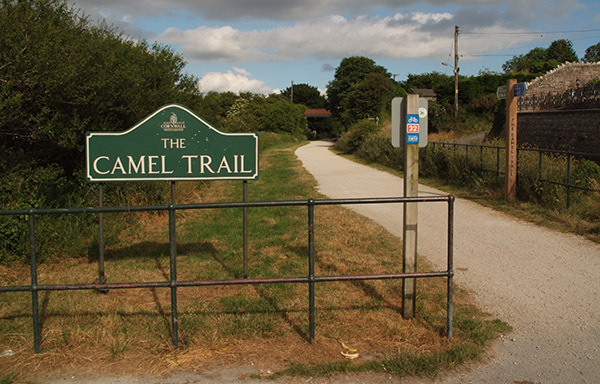 The Town is now known as a cycling Mecca for tourists rather than a market town.